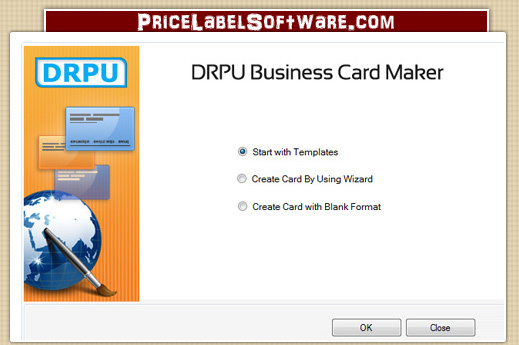 Business card maker software design cards for different organizations. Business card maker software is designed for creating business cards in different format like staff cards, visiting cards, membership cards and personal business cards. Business card designer software has inbuilt color background settings like solid color, gradient, image and style setting to design business cards. Simple to operate business card designer software is structured with dataset series feature to design multiple business cards simultaneously. ▣ Business card maker software creates business cards in less time and efforts. ▣ Business card maker software has ability to design business cards in different shapes like rectangle, ellipse and rounded rectangle. ▣ Business card maker software is formulated with advanced printing settings to print designed business cards. ▣ Business card creator tool to create business card using wizard or with blank format. ▣ Different shapes of business cards can be designed via advanced business card maker software. ▣ Safe business card maker utility provides option to start new business card format or edit existing business card format.